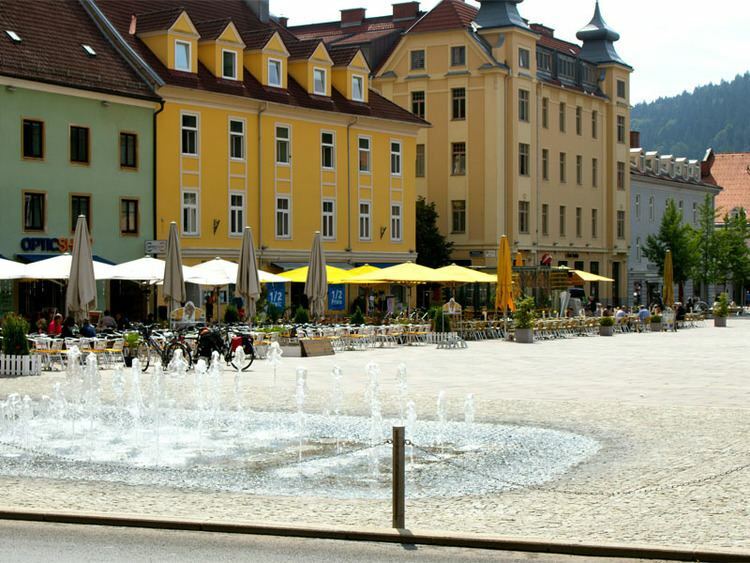 Bruck an der Mur is a city of some 13,500 people located in the district Bruck-Mürzzuschlag, in the Austrian state of Styria. It is located at the confluence of the Mur and Mürz Rivers. Its manufacturing includes metal products and paper. 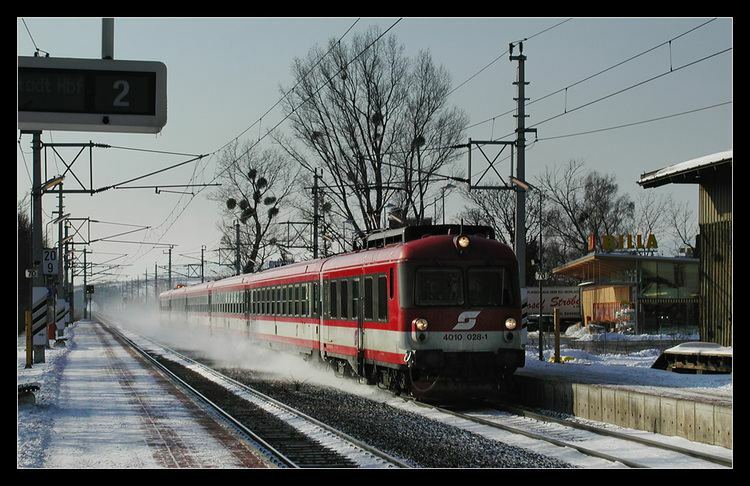 Bruck is located on the Graz to Vienna main line, and is an important regional rail junction. The earliest surviving record of Bruck dates from the time of King Ludovicus II "Germanicus", when it was identified, in a record dated 20 November 860, as "ad pruccam", a manor of the archbishopric of Salzburg. The settlement then identified with this name was in the location currently occupied by the suburb now called "St. Ruprecht". 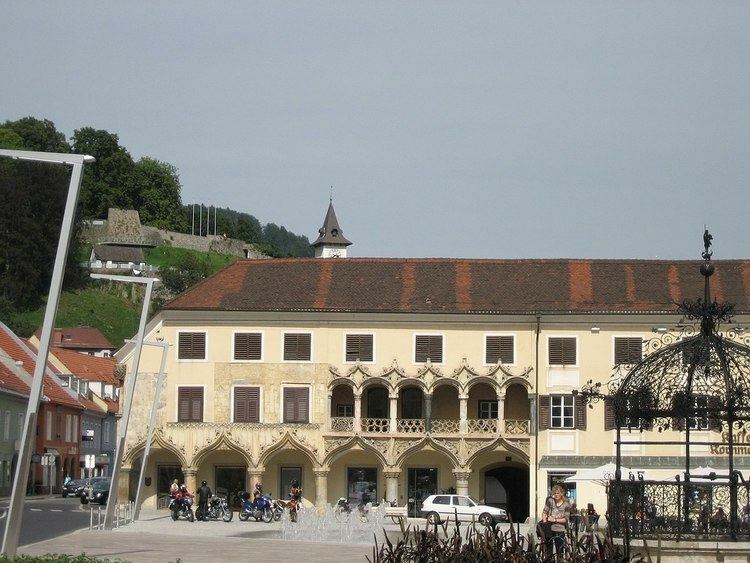 The settlement then located at what is now the centre of Bruck is identified in the ninth century record as "muorica kimundi" (i.e. the mouth of the Mürz River). 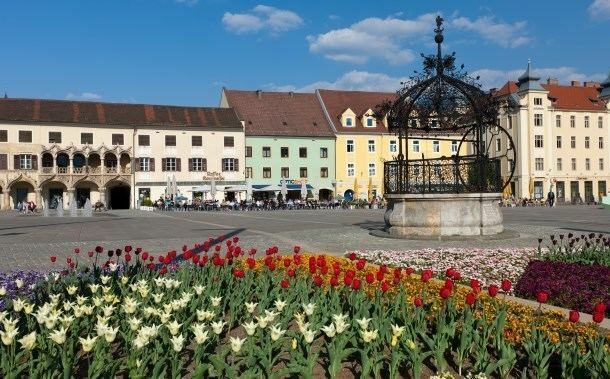 The town was refounded in 1263 by King Otakar II of Bohemia, who was responsible for surrounding Bruck with its city walls. Bruck received its town privileges in 1277 from King Rudolph von Habsburg who in 1273 succeeded Otakar. Bruck an der Mur was an important medieval trade center specializing in iron work. There is a 15th-century Gothic church in the city. In the center, there is also the famous Kornmesser house, built in the Venetian style by Pankraz Kornmess in the 15th century. There is also an iron well with its famous lace-like dome. The castle of Landskron burned down in the great fire of 1792. After that fire, just two of 166 houses were left standing. Near Bruck is a recreation area called Weitental. Every August a well-known artist and clown festival called Murenschalk is held. The young people of Bruck an der Mur have been known to criticize the mayor, Bernd Rosenberger (SPÖ), who unconditionally increased the police presence on the streets. They argue that this policy has the objective of harming the nightlife and harassing young people.